China is expected to increase export tax rebates this year in an effort to boost the country's exports amid a severe trade situation. The tax rebate increase will be implemented when timing is appropriate, China Daily cited deputy minister of commerce Zhong Shan as saying. The move would be the first increase since 2009. "China will keep its foreign policies stable and step up relevant new policies," said Zhong Shan at the 2012 China Imports and Exports Work Conference held in Nanchang in southeastern China's Jiangxi province on Monday. "Uncertainty and instability in the global economic scene are growing - there are also some domestic factors," Zhong said. Zhong said China will optimize the domestic and overseas environment for foreign trade and accelerate foreign trade restructuring to improve the quality and efficiency of trade. According to statistics released by the General Administration of Customs, exports stood at US$149.94 billion in January, down 0.5 percent year-on-year, the first decline in more than two years. China will, "at the appropriate time, increase tax rebates on specific categories of goods, including labor-intensive products", Zhong said, China Daily reported. During the financial crisis between 2008 and 2009, China raised its export tax rebates seven times on a wide range of goods. Tax rebate rates in general were increased to 13.5 percent in 2009 from 9.8 percent before the crisis. Premier Wen Jiabao said that China will try to maintain basically "stable" foreign trade policies during his recent visit to Guangdong. Wen also said any adjustments, if made, should be more "encouraging than restrictive". While the outlook for developed economies is grim, China will "prioritize emerging markets", Zhong said. China's January exports to the European Union, the largest destination for Chinese goods, declined 3.2 percent year-on-year as the EU debt crisis continues to deepen, cutting demand for Chinese goods. 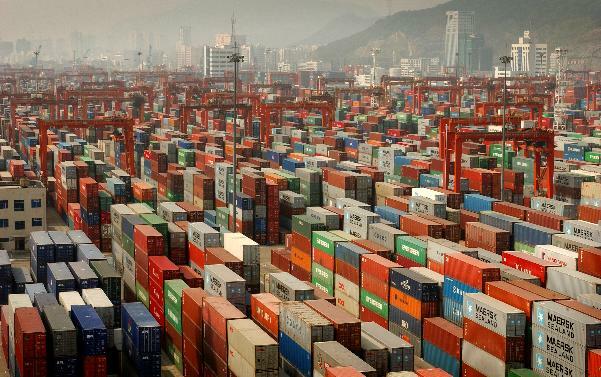 China is expected to increase export tax rebates this year in an effort to boost the country's exports amid a severe trade situation, a deputy minister of commerce said on Monday.